Island was developed by perfumers Christophe Laudamiel and Loc Dong, and the notes are a good indicator of what is to come (and they aren't always): Kauai waterfalls, oxygenated water, Chinese kiwi, hydroponic honeysuckle, parrot tulip, champaca flowers, ginger lily, shimmering Bulgarian rose, stephanotis, white bark accord, Galapagos driftwood and rice fields. It sounds like a fresh ozonic-aquatic scent, and it is. If you read this blog with any regularity, you probably already know I'm not likely to like such a thing, and Island is a perfect example of why. Island starts off with crisp air and water, and lots of it (it is very fresh, and very diffusive), enlivened by sheer fruity notes. The florals come on rather quickly. They are supposed to be "rich humid florals", and the floral notes are moderately heavy for the first hour or so, but they're blurred and softened by all the fresh air and water; Island's heart is softly spicy and undeniably pretty, but it reads as tropical flowers smelled from inside your air conditioned hotel room. If you want "rich humid florals", try Annick Goutal Songes, or for that matter, Michael by Michael Kors. The base is clean woody musk; it starts off pale but gets darker (and more driftwood-ish) over time. Near the end, there is a tiny little smidgen of something powdery-creamy that might be the "rice fields"? Here is the thing: I have nothing against overtly synthetic perfumes, and nothing against abstract flowers — my complaint about the "rich humid florals" speaks to the ad copy, not the scent itself. And it isn't really that I don't like the smell of aquatic notes. Remember New West? I loved New West. But since then, the whole floral aquatic genre has been so massively overdone. It is hard to smell anything with substantial marine notes these days and not immediately think Generic Department Store Fragrance. More than that, this has become the smell of functional scented products: air fresheners, laundry detergent, dryer sheets, you name it. Some people complain that any lemon perfume reminds them of cleaning products, and that is exactly how I feel about fresh ozonic-marine fragrances. Even a well-constructed aquatic fragrance reminds me of dryer sheets; a really fabulously well-done aquatic fragrance evokes a top notch dryer sheet. If you like marine notes, do give Island a try. It's considerably more interesting than many others of its ilk. A couple of hours in, when much of the freshness has worn off and what is left is mostly bark and driftwood with a lightly creamy finish, I start to really like it. And I love that squat tinted bottle, said to have been inspired by the "sparkling waters of the Caribbean". Island was followed by two limited edition flankers: Island Fiji and Island Hawaii. I never tried either on skin, but on a card, I liked one of them and didn't like the other (and can no longer remember which was which). To my mind, neither was as appealing as the original Island, but reportedly both scents sold very well. Island Capri (shown) is the latest edition; it features sparkling orange bigarade, crisp green Italian basil, bergamot, rose petals, violet de parma, jasmine blossom, fig, olive tree accord, white moss and sensual skin accord. Island Capri is clean, but it isn't as massively fresh as the original Island, and nothing about it reminds me of dryer sheets. The top notes are sharp, sparkling citrus, with the basil adding a nice kick; for a few minutes, I was reminded of a softer version of Guerlain's Mandarine Basilic. After that, the sparkle fizzles out and it gets sweeter and more figgy-fruity-floral-ish. It is a light scent, very summery and sheer, and sort of reminds me of a blander Un Jardin en Méditerranée (Hermès), with more flowers and less wood. Island Capri isn't exactly bursting with personality — I've worn it four times now, and I have a hard time remembering it with any distinctness once it's worn off — but its pleasant enough, and very wearable. I don't see why it shouldn't sell as well as Fiji or Hawaii. Unlike some flankers, which hang around on counter so long you forget that they're limited edition, the Michael Kors Island scents tend to disappear relatively quickly. If you want Island Capri, you perhaps ought to pick up a bottle soon. Michael Kors Island is available in 50 and 100 ml Eau de Parfum, Bath Soak and Waterfall Body Lotion. Michael Kors Island Capri is available in 50 ml Eau de Parfum, Body Gelee and lip gloss. Note: first image via Images de Parfums. I smelled the original Island, and I didn't really care for it all that much. It jus didn't really interest me. But I smelled Hawaii, and I actually really liked that one. I never got to smell Fiji, but I want to. I want to smell Capri now too! I love Kors. I love Laudamiel. But these sound scary. Well, thank goodness there's enough boring, “pleasant” product being launched, otherwise our wallets (not to mention our perfume cupboards) just wouldn't survive, would they? Seriously, I don't have as much of a problem with aquatic-ozone notes as most perfumistas seem to (sometimes I like smelling like fresh laundry, I guess). However, for me, Acqua di Gio is still sort of the 'sine qua non' of that genre, and everything else (at least at the men's counter) just seems too bland, too synthetic, too generic, and almost impossible to tell apart. I think Hawaii might be the one I liked, but I'm not at all sure. Hope you'll like Capri! Well, I suppose if anyone can make an aquatic-ozone thing worth smelling, perhaps it is Laudamiel? It really is nicely done. I just can't love something that reminds me of the latest scent from Tide. I love aquatics and Capri is a good one but it is not easily found in my neck of the woods. I have grown up by and live on the ocean so maybe that explains my leaning towards marine scents. I understand your aversion to ozonics; they lack the depth of other fragrance categories. There are so many men's ones that are great, especially Aqua by Bulgari. Also Nautica Voyage, Chrome, Baldessarini Del Mar, Carolina Herrera Aqua, etc.! I too that think I was spoiled for aquatic/ozone notes by detergents – and by Davidhoff's ubiquitous Cool Water. You loved New West? That's interesting. It always reminded me of cucumber salad (and *hides ashamed* on bad days of kitchen scraps). 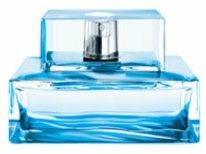 Acqua di Giò is one of the few aquatic perfumes I like. Not on me, though. I grew up in Hawaii and now I am just *longing* to try these! We've had crazy, unseasonably warm weather the past few days and I've got spring fever in the worst way! I'm so over winter (Burberry, you have missed your window). I really do like clean and laundry scents, the line about 'top notch' dryer sheets made me laugh out loud! My very first crush, and first boyfriend's mom used copious amounts of tide in their laundry- so to me tide=first love and all those kinds of lovely things! The Hawaiian Island is no longer showing up on his website (!) I wonder if it's still in stores. I would love to have a coffrett of these – I'm saying this without having tried them! LOL! But the bottles would be beautiful! Hi Robin, I am new at commenting but have read your blog for almost a year now and I have to say it is addicting! I don't know anyone that has a perfume obsession like I do and people do think it's strange but oh well! I had to comment when I saw that you love New West, my best friend and I wore that in high school and I cannot find it anywhere! Any tips on where to go? It's been so long since I have even seen it and I don't even know if I would like it now. Also, I love Island but I wasn't thrilled about the others. Island is one of those fragrances that I like to spray liberally. Hawaii smelled like something I have smelled before but I cannot pinpoint it now. Robin, I have nothing to say about Island, so I … won't. However, I loved your discourse on dryer sheet scents, because it got me thinking of both cultural scent associations and our own personal ones. I have (you do too) *loads* of samples that someone might sniff and think, who on earth would want to smell like THAT?! A fig, a barnyard, a bonfire. But clean laundry? Dryer sheets? Meh, no thanks. PS I get confuzzled, but I think it is we in the US who associate “powder” with babies, whereas in Europe (maybe specifically France) it's something completely different, like orange blossom? It was something funny, I was surprised. That's “baby” to them. tara: try typing “buy aramis new west” into a Google search window, and that should pull up several online retailers where you can get it. Also, eBay. If you're not an online shopper, you might try larger drugstores' (like Walgreens or Rite-Aid) fragrance sections — you'll never know what turns up there sometimes. I love your evenhanded treatment of the aquatic issue — you take it out of the realm of the verboten and provide a real explanation, instead. Joe, Island really isn't bland, the way some aquatics are. But nor is it unisex (or at least, not until really far into the game) so not sure it is worth it for you to try. Winter has hardly begun here but I'm done with it too! Hawaii appears to be just about sold out, but Boscovs still has it online. I think Capri is just going into wider distribution — it was exclusive to a few stores after it launched in November. Nordstrom, I think, just got it recently. New West, if I remember correctly (and it has been a long time since I've smelled it) was really hugely melon-y, so can understand the “kitchen scraps” — but when it first came out, it smelled like something utterly new & fresh & different. I have a feeling it would make me crazy now. Hi Tara! Joe has already helped you with the New West — and if you get some, do come back and comment, I haven't smelled it in years and would love to hear your impressions. R, if anything, Capri sounds like the better bet, but I won't be racing to pick that up, either: I'm not really looking for a “blander, more floral” Jardin en Méditerrannée, since I love the original one just as it is. I can't argue with it — it is just an entirely different philosophy from my own. I read a great article once about baby smells around the world, and just wasted 10 minutes looking for it. You know my memory is terrible but thought orange blossom was Spain, and France was something else? Wish I could find the reference. Some brands list the nose in their press releases to trade publications, a very few provide them on their websites, an even smaller number will tell you if you email and ask. But most brands, it is true, don't even like people to think they use perfumers. Companies like Jo Malone, for instance, I guess want people to think Jo Malone was in a lab mixing her own. I don't know why — the creative direction is in some cases as important or more important than the technical work of creating the scent. Think of say, Serge Lutens as an example. At least Serge Lutens has publicized Christopher Sheldrake's work. Many other small niche lines simply “allow” their customers to think the owner is the perfumer. Really, the people who work in fragrance development/creative direction have it worse than the perfumers: an educated consumer who is interested in the topic of perfume and reads about it in the press might be able to name a handful of perfumers, but I wonder how many have heard of Karen Khoury or Trudi Loren, both of whom oversee fragrance development at Estee Lauder. Or, maybe people know more than I think — but I did not know those names until long after I had a list of favorite perfumers. And oops…that's Karyn Khoury, not Karen! Thanks, Robin. It's a very interesting and complex topic, I think, since it really begs a lot of questions about creativity, craft, decision-making, collaboration — not just one can of worms but half-a-dozen. Robin, you have to enter the Island ad in the PEF context STAT! Heavens! Not just driftwood but GALAPAGOS driftwood, you know, that smells very different. Not water, but OXYGENATED water. Very distinctive scent, that. They forgot the Spam accord. Island folks from Hawaii will know what I mean. A bit OT here – the same can be said of cosmetic lines with a woman makeup artist at the helm: Trish McEvoy, Bobbi Brown, Laura Mercier. Spend a bit of time at the counter and you'd swear these women are poking around the lab with their pigment pots and a mixing spatulas. Even the first-name basis: Trish did this, Trish made, Trish created … etc. create the illusion that the makeup is somehow more personally crafted. Mmmm, spam. (actually, I'm serious, don't judge me) LOL! Hawaii *really* smells like: plumeria, rain, the pacific (which is sooo different than the atlantic-so clean and not fishy), buddist temples, burning sugar cane, rice, sunscreen, shave ice, and wild ginger. Homesick now. Is there a fragrance that smells like Hawaii to you? I love Comptoir Sud Pacifique Aqua Motu because it reminds me of the smell of the beach where I lived in San Diego. Haven't found one yet. Kai brings back memories of leis – its really dead on for tropical flowers. I might have to try the Comptoir, luckyscent has it in samples and I keep looking at them. The Galapagos driftwood is a nice touch! The oxygenated water is actually sort of a clue: you're going to get “salty sea breeze” smell along with your “water” smell, and although it does sound ridiculous, I'd still rather read “oxygenated water” than the name of whatever chemical they used. Although they give the chemicals nice names too: Azurone is one of the sea breeze & water notes from Givaudan, doesn't that sound nice? I have met a surprising number of perfumista-types who secretly (or not) like Aqua Motu. It reminds me very much of La Jolla. The one that got me was the hydroponic honeysuckle. Cause being grown in dirt makes the blossom smell different? LOL! That and parrot tulip, not to be confused with a regular tulip. I don't know about you, but winter in the east makes me really miss the beach something awful! Entirely true! And of course, the whole celebrity fragrance craze rests on this same sort of thing — people just assume that the celebrities in question were massively involved with the fragrance development and that the finished product represents their own preferences. You know, I see “hydroponic” in scent descriptions more & more frequently. At first I dismissed it as random silliness, but now am seeing it so often that I wonder if it is shorthand for something meaningful. Will have to see if I can find out. Skarb is an odd one! Michael Kors Island sounds as boring to me as Davidoff Cool Water Woman. Guess that this is afragrance that needs layering..not a positive remark. I never tried any scent by Michael Kors but the Islands with a name do sound attractive. Don't even know if they are available in Europe. Maybe I have seen MK without actually 'seeing' it..
Good luck finding “The One”! In the intercultural smells department, I seem to recall reading somewhere (here?) that in Europe (France?) that beeswax is the ubiquitous cleaning agent ingredient, not lemon. I could have my facts all confused, though. Orange blossom sounds like a lovely scent for babies, though. I have not smelled that particular CB – I have mixed feelings about the whole burning leaves thing. I'm glad I'm not the only who laughed out loud and almost got an injury from rolling my eyes over “hydroponic honeysuckle”. I honestly don't think it's a shorthand for anything other making the notes copy fit in with the “theme” of the scent. I still laugh thinking about the post here many months ago that contained copy listing a “rare black leather accord” — I don't remember the scent, but the reaction was hilarious. You could be right! Rare black leather is ludicrous. Burning Leaves is great stuff. I really loved Michael, was iffy on the original Island, never tried Fiji, liked Hawaii (got a sample of it, thought about buying it, but then it just got too overbearing). I bought 50 mL of Capri, and so far, I really like it. It is nice and fresh for me.